You may register on this website until Sunday, November 19, 11:00 a.m. for $12 per ticket. Walk up registrations are welcomed for $15 per ticket. 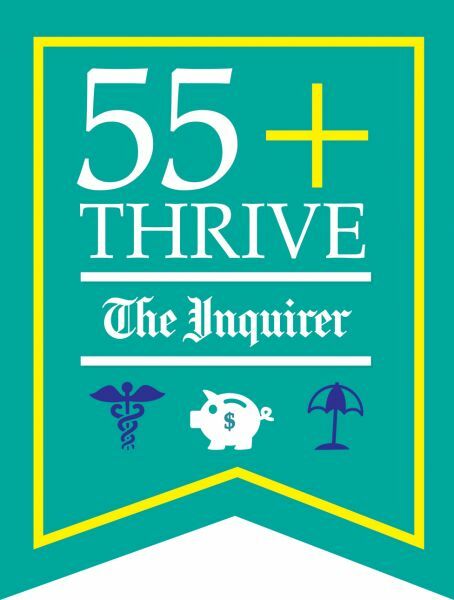 Join Philadelphia Media Network, publisher of the Philadelphia Inquirer, Daily News and Philly.com for the inaugural 55+Thrive Lifestyle Conference, a day of education, resources and entertainment for every boomer and beyond. Conference to include celebrity keynote, workshops and marketplace of resources ranging from health & wellness, financial planning, end-of-life planning, hobbies & more! Our experts will guide you through the maze of questions you may have about the different types of retirement communities. We'll define sometimes-confusing terms, explain your options, and help navigate you to a care-free retirement of your choice. Hear from Len Barry, soul vocalist and artist of the #1 song, 1, 2, 3 in 1965 and recent patient of Dear Meadows Home Health and Support Services, LLC. He will talk about his personal rehabilitation story, which took place in the comfort of his own home. Len is no longer singing the blues thanks to their team of nurses, physical therapists, and home health aides. Few people like to discuss end-of-life planning with their loved ones, but it's a vitally important topic. Experts from Delaware Valley Cremation Center will share advice on how to raise the topic and the important questions and answers you need to know. The Philadelphia Estate Planning Council, one of the oldest and largest councils in the country, is comprised of an interdisciplinary group of experts who advise clients on estate planning matters. Council members will provide general estate planning information and answer your questions on a non-solicitation basis. But I love my house: Is staying at home the right move for me? Find out why some families stay at home and why some move to retirement communities. Learn about the many options available for Independent living, and why they may or may not be a good fit for you. Am I OK? Can I live the life I want? In these uncertain times it's hard to know the answer. The world has changed and the old ways of wealth management no longer work. It's time for a different way to manage your money and your financial life. Our goal is to give genuine control over financial life. We have developed a dynamic process based on the life you want to lead and continually adapt to the changing world and your needs. After all, isn't ensuring that you can live the life you want what a wealth manager is for? We call it Financial Life Management. Program is open to the public with an anticipated audience of 500 guests. The conference is a day of education, entertainment and resources for anyone who wants to plan their future, speak with experts in varied industries, etc. Individuals under the age of 55 are also welcomed. Tickets include full-access to the keynote, workshops and expo. Upon registration, you will be emailed your tickets. We ask that you bring a printed copy of your tickets and/or electronic copy on your phone to be scanned upon arrival. No, Philadelphia Media Network has a no-refund policy.You may give your ticket to another guest with written notice provided to Jennifer Wolf at jwolf@philly.com by Monday, November 13. Valet parking is extended to conference guests at a discounted rate of $22 per car. Surface lots and nearby garages are available with standard rates. The Hotel is also within walking distance from Jefferson Station. Is food offered at the conference? Food is available for purchase through concessions at the Marriott. Reading Terminal Market and nearby restaurants are within walking distance. We encourage everyone to pre-register for the conference due to the high volume of guests expected. This will ensure a smooth check-in process. Pre-registered guests save $3 as tickets will increase to $15 on the event date of Sunday, November 19. Yes, we encourage you to bring family, friends, colleagues, etc. What is Ms. Valerie Bertinelli speaking about? From sitcom star to entrepreneur, author and now Food Network host, Ms. Bertinelli will talk about her career and how she has managed to reinvent herself over and over again and how you should too. Audience Q&A to follow presentation. Can I bring something for Ms. Valerie Bertinelli to sign? We have partnered with Time Inc. Books to provide copies of Ms. Bertinelli's book for purchase. She will be happy to sign her book but will be unable to sign outside memorabilia. We thank you in advance for your understanding. Are there still exhibitor and workshop opportunities?